Affordable Garage Door Service. St Louis Trusted. Work Done In a Way That Lasts. That's what we're known for, plus top-notch experience, attention to details that make a difference, with peace of mind when the job is done. 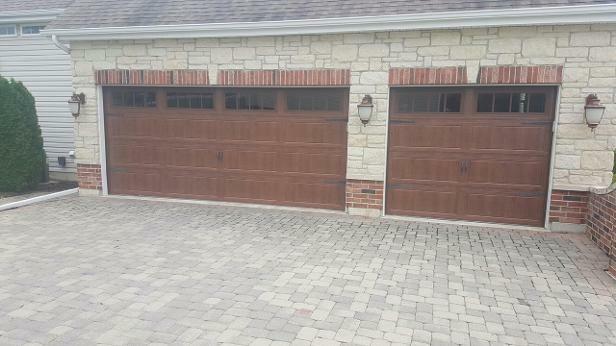 Tom Skyles of Magic Garage Doors has helped HUNDREDS of satisfied customers like you. Sometimes questions and answers can help in advance. If so, scroll down. Or, you might want to see some jobs we've completed. 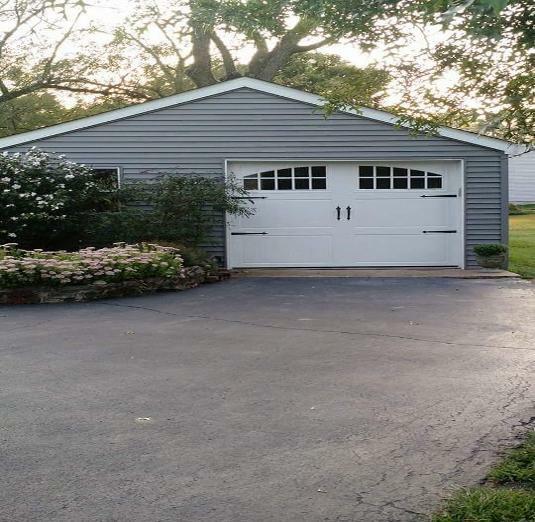 Want a reasonably priced St Louis garage door repair professional you can count on? Tom has a reputation of being trusted, straight-forward and easy to talk to. He grew up around the door service business working on overhead doors from the time he was 18. He's seen plenty of other jobs where the customer was charged for unnecessary add-ons or non-existent problems that inflated cost- and he won't let that happen to you. TRUST means a lot here. Tom is a "find" in this business, and can solve your problem promptly, reasonably, and professionally. Q: My garage door won't close all the way– or only closes when I keep holding the opener button down. What should I do? A: Check to see if the lenses of the sensors are dirty. Also, check to see if anything is blocking them such as leaves or a broom. If that's the case, it could be something you could take care of without assistance. Sometimes it's a different problem with the safety sensors. They might not be aligned properly, or need replacing. Look for an obstruction first if you can find one, and clearing it before trying again. Q: Everything opens fine if I use the button on the wall, but not with my garage door remote. What should I do? After you've double-checked that the battery in the device is fine and it still doesn't work, you probably just need a new remote. Some models can be purchased at home centers, but problems often arise since universal-type openers are often not designed for your specific model. You're likely to save some time and trouble by consulting first with a service technician on this one. Click here to see if 10% discount Code is applicable for today. If not, and your door is not in urgent status, check back soon. Final tip- Tom can often give you advice right on the phone- even if it means you won't need him to come out. 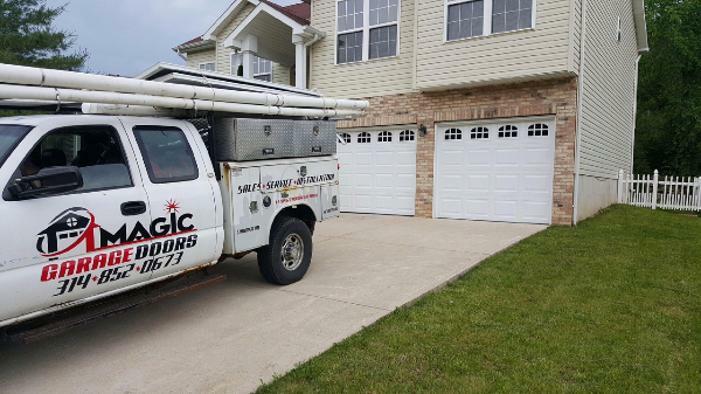 He's trustworthy, which means he won't pile on extras you don't need, and one of the best door repair professionals you'll find anywhere around St Louis or the whole state of Missouri. 4) Caring enough to make sure it's done right. 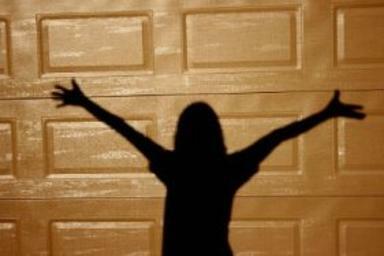 It's what Magic Garage Doors is known for, and plenty of satisfied customers will attest to it. provided here only (when available), you'll receive an extra 10% off service from a price that almost always beats larger companies with bigger overhead. Q: I pressed the button to lower my door and all of the sudden it went crazy! One side is higher than the other, the rollers are coming out of the track and it will not budge. What happened to my garage door? A: The most probable cause is that the door was obstructed when closing. It's also possible the roller simply came out of the track. It may have caught on one side which causes the cable on your door to come off the drum (pulley). Sometimes, the cable has broken. This can be very dangerous! DO NOT try to move the door. DO NOT try taking off any brackets or try putting any rollers back in place. Doing so could result in serious injury to yourself and further damage to the door. This is not a situation to handle door problems yourself. Q: The motor on my garage door opener sounds like it is running, but nothing is moving. What could be the problem? A: If you have a Sears Craftsman, Chamberlain, or Liftmaster, opener, the gears inside of the motor head may be worn out or stripped. If you have a Genie Screw Drive opener, the trolley may be worn out or stripped. You may need to have your gears or trolley replaced. Sometimes a complete service of your door and opener is recommended. Q: How often should I service my door? A: At least once a year is recommended to ensure maximum safety and extended life. Servicing often prevents repairs. A complete and detailed door inspection and service, including the opener keeps things working and helps you stay clear of many common problems that occur from neglect.